DAYTONA BEACH, Fla (March 1, 2018) – American Flat Track (AFT) is excited to announce a partnership with Arai Helmet, Inc. for 2018, making the industry leader in head protection the official helmet of the AFT series as well as a sponsor of two of the sport’s key events: the season-opening round at Daytona International Speedway on March 15 and the season finale at Meadowlands Racing & Entertainment on October 6. In addition, 40-year Arai factory athlete and 3-time World Grand Prix Champion Freddie Spencer has been confirmed as the Grand Marshal of the Harley-Davidson TT presented by Russ Brown Motorcycle Attorneys at DAYTONA on March 15. With a six-decades-long commitment to peerless design and rider safety, Arai helmets are built by riders, for riders. Mitch Arai, who inherited the company from his father a little over 40 years ago, set about designing helmets that offered riders more protection and the very best in leading-edge design. The brand is recognized as one of the premier helmets in the world. Arai has deep roots in racing, and its helmets are worn by many of the top athletes in both the two- and four-wheel racing worlds. 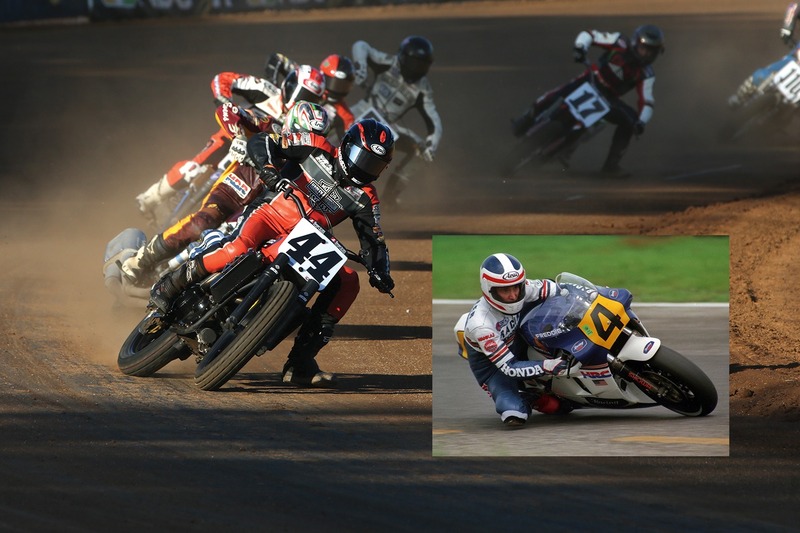 Arai has supported generations of flat track racers over the decades and is excited about the opportunity to increase its support as a series sponsor of American Flat Track, the fastest growing sport on two wheels. “Arai has a long history with American Flat Track,” says Brian Weston, Managing Director of Arai Helmet, Inc., “beginning with Ted Boody giving Arai its first win at the 1979 Houston Astrodome – which prompted the first U.S. model name ‘Astro’ in 1980. Throughout the years, Arai has been proud to support hundreds of racers, including champions Steve Eklund, Randy Goss, Ricky Graham, Chris Carr, Joe Kopp, Kenny Coolbeth, Jared Mees, Jake Johnson and Brad Baker – boasting a combined 20 Championships wearing Arai. As Grand Marshal of AFT’s season-opening event at DAYTONA, ‘Fast’ Freddie Spencer will tour the paddock, sign autographs along with the AFT racing stars, and might even don Arai’s all-new 40th Anniversary Spencer-replica helmet for a slow lap for the crowd. Given his many glorious victories at Daytona, that would be especially fitting.